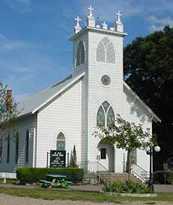 A multi-ethnic community of Germans, Wends, Czechs, Austrians, and Swiss, the town was first known as Concordia. 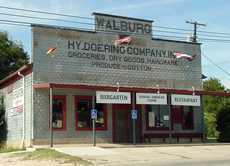 Storekeeper Henry Doering added a post office to his store in 1886 and submitted the name Walburg after his German hometown. It was accepted by the postal authorities and has been Walburg ever since. 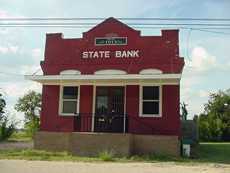 In the 1890s the town had a gin, doctor, blacksmith, pharmacy and a bank. 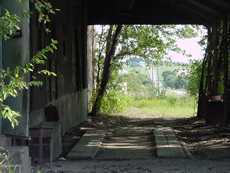 The estimated population was a mere 16 people in 1890, rising to 102 by 1904. In 1925 there were 200 residents, and after an unexplained surge in the late 20s when it doubled, it returned to 200 by 1933. The population has remained stable since the end of WWII.